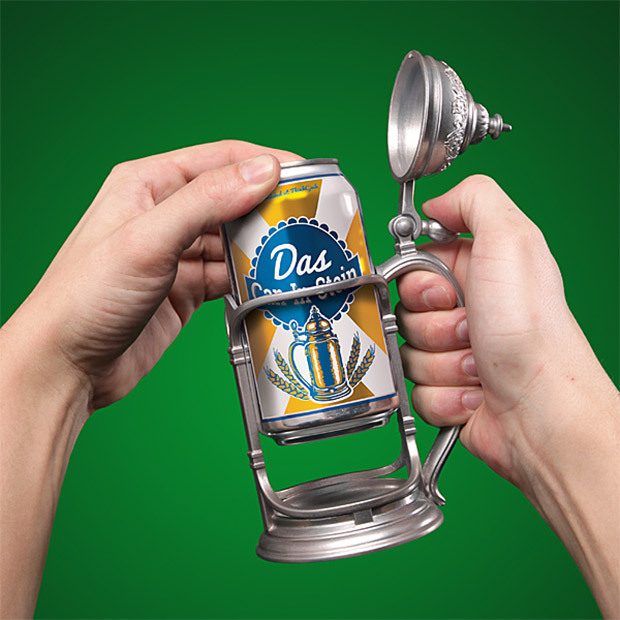 Oktoberfest is just around the corner, so why not prepare early with this pewter-finish resin holder, which carries a 12oz. 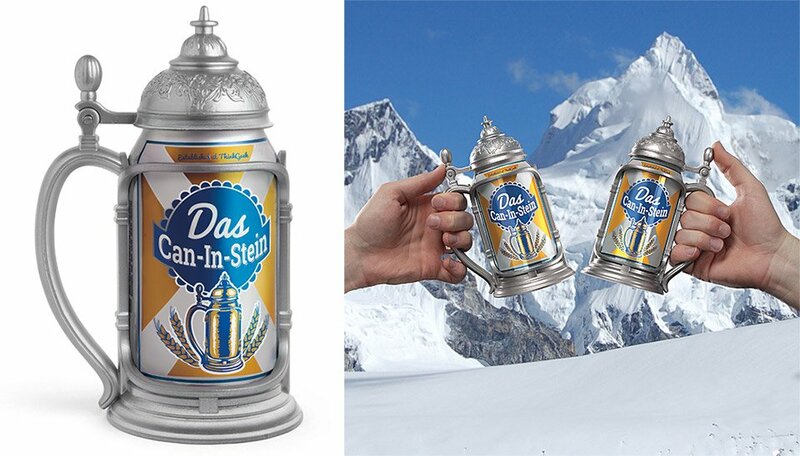 can of your favorite brew, and turns it into a beer stein. Works just as well with soda cans – perhaps even better.